NASA Press Kit for space shuttle mission STS-52 to be launched Oct. ’92. Oct. 25 at the Kennedy center. third Canadian citizen to fly aboard the Shuttle. spacecraft will enable researchers to gather twice the data. "The satellite may be small, but the data returned is big time science,"
movements of the Earth's crustal plates, to measure and understand the "wobble"
shape and more accurately determine the length of the day. participate in collecting and analysing the data received from the satellite . log how long it takes the beams to make the round-trip voyage. the Earth and the satellite." Materials Science Lab, in Columbia's cargo bay. Dr. Marc Garneau as part of the CANEX group of experiments that flew in 1984.
water changes and the effect of weightlessness on the vestibular system. could be used in the design of sensors for future spacecraft. have important contributions to the design of future spacecraft. larger and more uniform in size than their ground-based counterparts. last flew on STS-40, a Columbia mission devoted to life sciences research. at 72 degrees west longitude; frequency 3960.0 MHz, audio 6.8 MHz. Television schedules also may be obtained by calling COMSTOR 713/483-5817. COMSTOR is a computer data base service requiring the use of a telephone modem. schedule will indicate when mission briefings are planned. Return To Launch Site Abort: Kennedy Space Center, Fla.
Crystals by Vapor Transport Exp. (SLF) at the Kennedy Space Center, Fla.
Gambia; Ben Guerir, Morocco; or Moron, Spain. back toward KSC until within gliding distance of the Shuttle Landing Facility. Space Center, White Sands Space Harbor, Banjul, Ben Guerir and Moron. engine 2028 is in the number 3 position. mission with the German Spacelab D-2 module. the Earth's size and shape and more accurately determine the length of the day. satellite's orbit as stable as possible. Aluminum would have been too light for the entire body of the sphere. circular front-face with a prism-shaped back. retroreflectors, returns to the ground station. perhaps correlate them with Earth dynamics observed on the ground. Research Interim Stage (IRIS) and the LAGEOS Apogee Stage (LAS), will engage. deploying satellites from the Space Shuttle cargo bay. appear to be linked to erratic spinning of the satellite itself. University of Texas at Austin operate the other two NASA systems. worldwide to investigators studying crustal dynamics. et'en Orbite, or MEPHISTO) will study metallurgical processes in microgravity. environment onboard the Space Shuttle. control. MSFC developed the USMP carrier. Principal Investigator: Dr. J.A. Lipa, Stanford University, Stanford, Calif.
Project Manager: R. Ruiz, Jet Propulsion Laboratory, Pasadena, Calif.
helium's "lambda point" (-456 degrees Fahrenheit or 2.17 degrees Kelvin). interaction of large numbers of particles, it is of great scientific interest. sample to become superfluid at higher temperatures. maintained to within a billionth of degree during the experiment. engines that will power future aircraft and spacecraft. mobile furnace will move outward from the fixed furnace, melting the samples. to be used as a reference for studying the mobile solid/liquid interface. "freezing" the shape of the interface for post-mission analysis. measurements and changes in the sample. Scientific Investigator: Charles Baugher, MSFC, Huntsville, Ala.
bay configuration. The two units each will support two remote sensor heads. two heads will be mounted to the MPESS structure near the MEPHISTO furnace. also will be monitored by the SAMS project team. changed based on the observed microgravity environment. flown on STS-40, STS-43, STS-42, STS-50 and STS-47 missions. 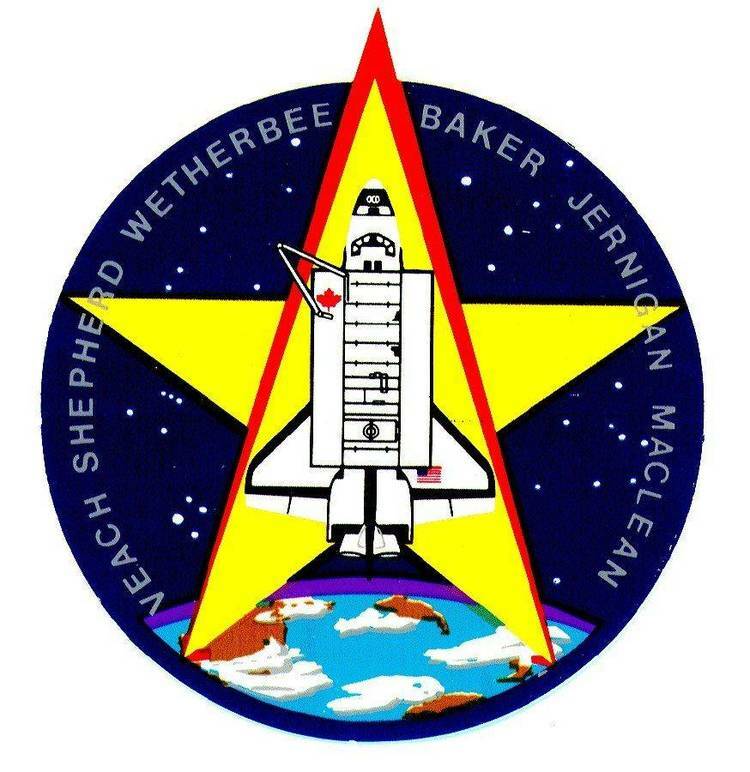 STS-52 will carry the third Hitchhiker payload to fly in space. their support structure are assembled on a Hitchhiker small mounting plate. power and signal interfaces between the ASP experiment and the Shuttle. in the POCC during the Shuttle flight. integration on the Shuttle and operations management during the flight. Engineering Center, Noordwijk, The Netherlands. social and economic benefits for Canadians. technology and life sciences research carried out on Earth and in space. to Dr. MacLean for this mission. and greater knowledge of human adaptation to microgravity. Many of these experiments are extensions of the work carried out by Dr.
provides a real-time TV display of the location and orientation of the object. Mobile Servicing System (MSS) when berthing or deploying satellites. that need to be considered to design a production model of the system. spacecraft have been found to degrade in the harsh environment of space. loss in mass, strength, stiffness and stability of size and shape. have real-time readouts of the erosion data during the mission. the Shuttle's thrusters were firing, led to the need for an OGLOW-2 experiment. measurements taken from the Shuttle might be adversely affected by the glow. Atoms of any substance, whether liquid or solid, are in constant motion. eliminated, it is possible to obtain more accurate information. alloys which cannot be made on Earth. instruments has provided a vast new capability for environmental monitoring. solar spectrum. This hand-held instrument will be aimed at the sun by Dr.
MacLean during several sunset and sunrise periods. oxygen and hydrogen, which affect the ozone concentration in the stratosphere. which take place in the stratosphere and affect the protective ozone layer. Solar Aerosol and Gas Experiment (SAGE) and other ground- based observations. such as research satellites and Space Station Freedom. Chemistry, University of British Columbia, Vancouver. liquids, some are attracted to one of the phases, some to the other. Consequently, the liquids separate the cell types. solutions containing different mixtures of model cells visible through windows. applying an electric field on the separation process also will be studied. The ultimate objective is to increase the purity of the separated cells. those on Earth, and the physics of the process can be better understood. Dr. Roberta Bondar and other crew members during her January 1992 mission. purification of cells involved in transplants and treatment of disease. Principal Investigator: Dr. Alan Mortimer, CSA, Ottawa, Ontario. descriptions of the investigations which make up the SATO group of experiments. Investigator: Dr. Doug Watt, McGill University, Montreal, Quebec. head back and forth, determine the ability of the eyes to track correctly. dicate that there may be significant dehydration occurring. beginning and end of the mission, and saliva samples will be collected daily. Upon return, the samples will be analyzed to determine total body water. of countermeasures to be used during re-entry. University of British Columbia,, University Hospital, Vancouver. cm as recently documented during Dr. Roberta Bondar's IML-1 mission. tissue such as muscle, nerves and ligaments. increased understanding of back pain on Earth. while doing knee bends to see if that alters the illusion of the floor moving. aerospace vehicles and space defense systems. Center, Cleveland. Lewis investigators proposed and are managing the refight. Seattle, Washington, developed the original flight hardware. PSE-02 will evaluate a compound being developed to treat osteoporosis. is lost, compared to losses observed when a limb is immobilized on Earth. postmenopausal women, this loss is a consequence of estrogen depletion. disability, loss of independence or death. permit the crew to visually inspect the condition of the rats. care and handling of the rats. expected to last several months to a year. excess heat generated by its equipment and crew. systems may not be reliable for longer missions. A heat pipe system provides a simple, highly reliable way to reject heat. moves the fluid back to the evaporator end. sensitivity of state-of-the-art heat pipes to large and small accelerations. and how long it takes them to recover. and the others of aluminum with Freon 113.
assembly. A battery-powered data logger will record the data. of atomic oxygen and contamination from Shuttle thruster firings during STS-52. computer in the Shuttle cabin. Division at the Johnson Space Center, Houston. University of Alabama in Huntsville (UAH). Inc. (ITA), Exton, Penn., an industry partner of the UAH CMDS. until the five flight activities are complete, whichever comes first. and documentation, thus freeing the user to concentrate on the experiment. development projects that benefit from the unique attributes of space. The MDA was initially developed to grow protein crystals in space. experiments will be conducted in these research areas. is in the development of new drugs or treatments. and made by man are small and do not feature uniform molecular structures. nuclear wastes and other hazardous wastes. liposomes and virus particles to target specific drugs to treat cancer. pharmaceuticals targeted at improving the undesirable effects of space travel. dispersion (or mixing) of the different substances. determine alignment of the blocks. the CRIM door will be closed. one MDA will automatically deactivate within minutes of being activated. President, Instrumentation Technology Associates, Inc., is co- investigator. Missiles & Space Division, Kent, Wash.
planned to take place aboard Space Station Freedom later this decade. by the temperature differences that occur in a material when it's heated. compound and a process called vapor transport. the compound evaporates and forms two gaseous materials: cadmium and tellurium. crystallization processes occur in the CVTE glass tube. been able to grow samples about the size of a pencil eraser. cameras will document, every several minutes, the rate of crystal growth. Scientists later will use these photos to further analyze the crystal's growth. Engineer is David Garman, both of Boeing. developing new and more effective pharmaceuticals. first crystals large enough to reveal their structure through x-ray analysis. developing protein samples for use in evaluating the benefits of microgravity. for drug discovery and drug delivery. conducted on 7 Shuttle missions starting in 1988.
hardware configuration know as the Protein Crystallization Facility (PCF). much larger than their Earth- grown counterparts. to launch, and it monitors and records CRIM temperatures during flight. The PCF, as used in two past missions, comprises four plastic cylinders. mission, the PCF will comprise 50-milliliter cylinders. temperature-controlled plate through the cylinder lids to the protein solution. will it require any modifications for landing. and CMC Associate Director Dr. Marianna Long. Principal Investigators for CVTE are Dr. R. T. Ruggeri and Dr.
the Chief Engineer is David Garman, both work for Boeing. from Flushing, N.Y., is making his second Shuttle flight. Engineering from the University of Notre Dame in 1974.
different types of aircraft. His first Shuttle mission lasted 261 hours. first Shuttle mission aboard Atlantis' STS-43 mission in August 1991.
as well as the primary mission to deploy a Tracking and Data Relay Satellite. in space on his first Shuttle mission. in various aircraft. His first Shuttle mission lasted more than 199 hours. Ulysses spacecraft designed to explore the polar regions of the Sun. flew on Columbia's STS-40 Spacelab Life Sciences-1 mission. Astronomy from Rice University in 1988.
has logged more than 218 hours in space. Ottawa, Ontario, he will be making his first Shuttle flight. York University in 1977 and 1983, respectively. experiments manifested on the STS-52 flight. Manager of the Advanced Space Vision System being flown on the mission. STENNIS SPACE CENTER, BAY ST LOUIS, MISS.